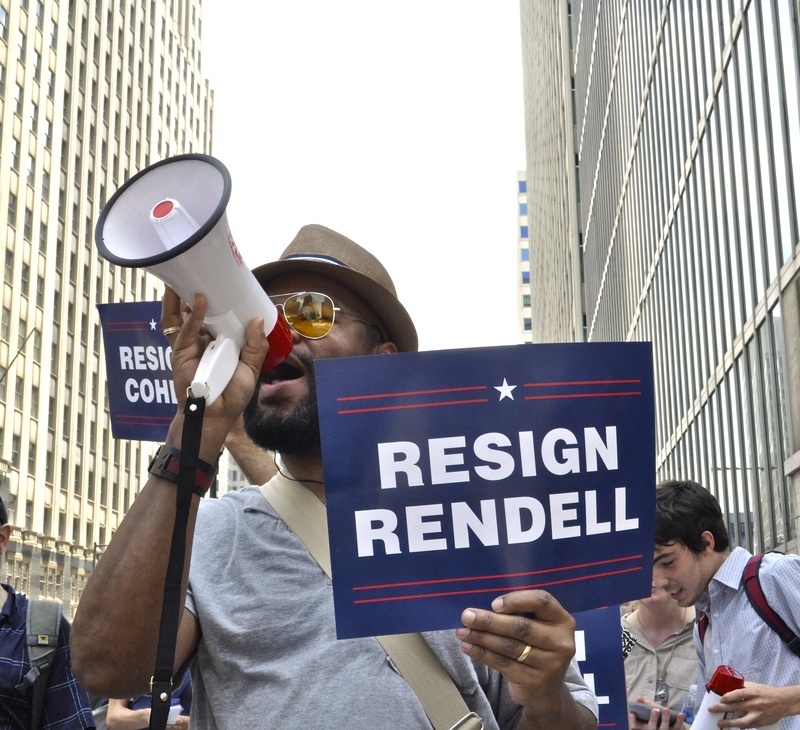 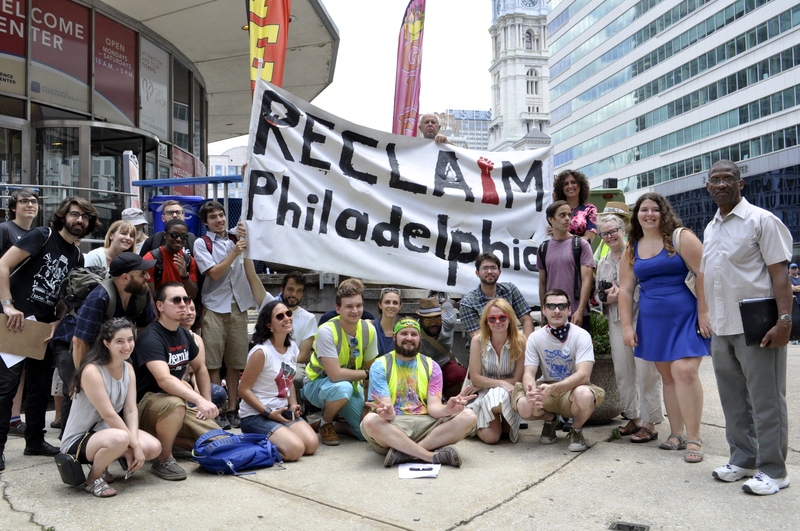 Members of Reclaim Philadelphia, a group of former Bernie Sanders staffers and volunteers, held a lunchtime rally and marched to various locations throughout Center City yesterday to demand the resignations of top DNC Host Committee members, and for the disclosure of fundraising and donor information recently ordered released by the state’s Office of Open Records. 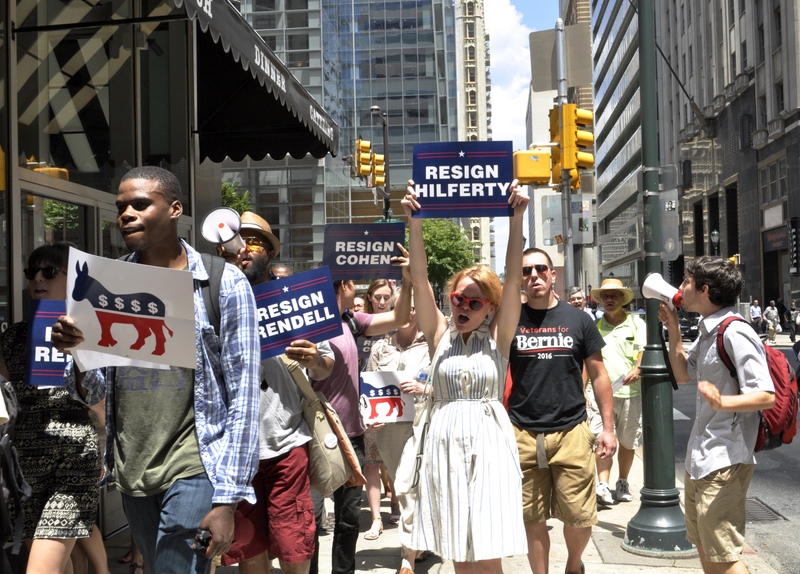 Read a full account of yesterday’s protest by Dana DiFillippo at Newsworks. 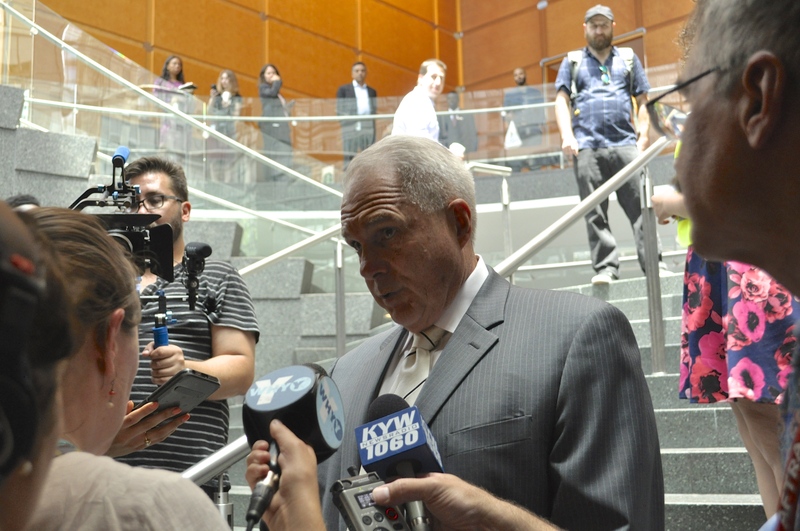 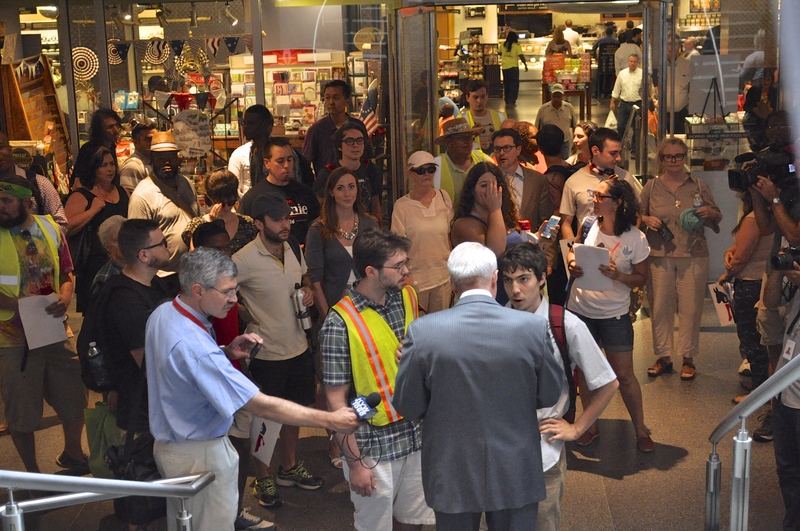 A Comcast building manager speaks to demonstrators and press after Reclaim Philadelphia attempts to deliver their demand letter to Comcast Vice President David Cohen.